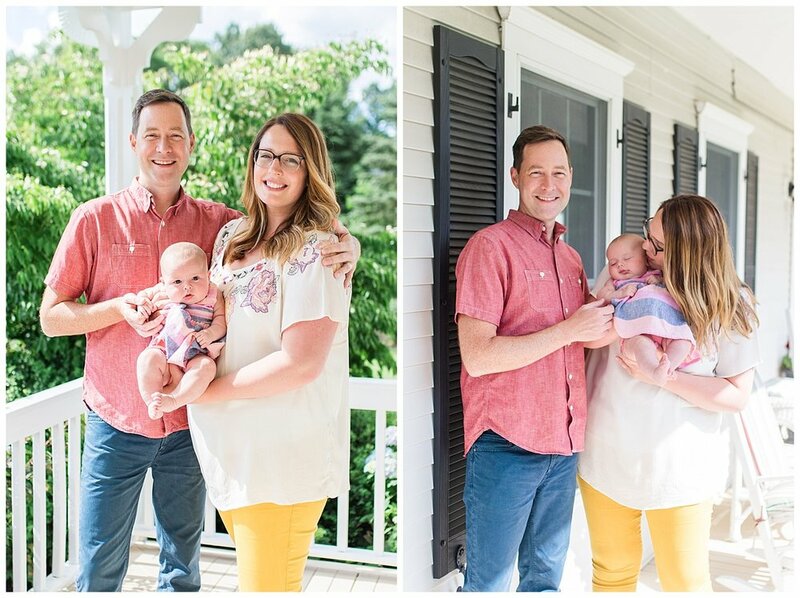 Yesterday I had the pleasure of going to New York to capture an incredible family! Christie and I both went to Penn State and I've been so lucky to know this incredible woman for many years now. It was so cool to see her be a mother and I'm honored to have been able to snuggle and photograph little Grace! 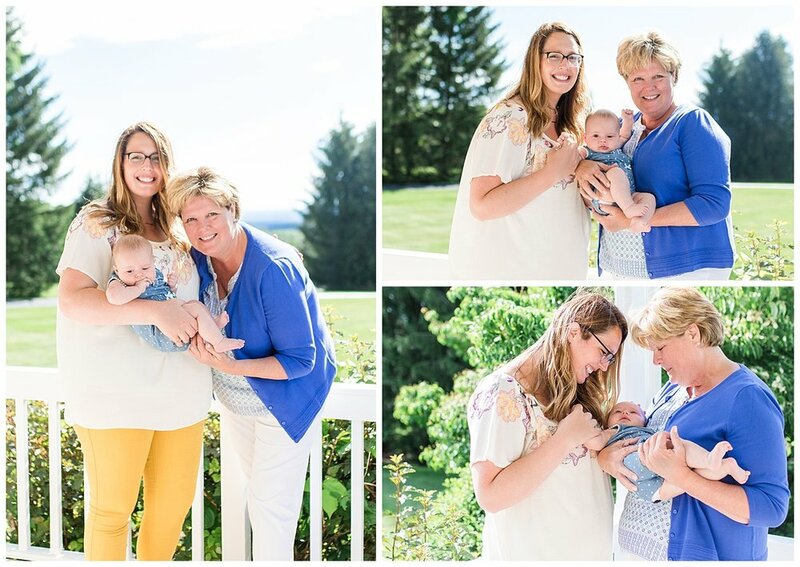 We had their session at Christie and Katie's mom's home in New York state. My drive up the Garden State Parkway was easy (thank goodness) and the closer I got to the NJ/NY line the more excited I became to see everyone. Also in front of my camera was Katie's foster child, the sweetest and most perfect little boy. I can't wait for Katie to see the images of him (that I cannot share here) because I know they will totally warm her heart. Seriously, look at those teeny tiny little toes! Yes... his smiley cheeks and little furrowed brow are just as adorable! Mike, Christie and Grace also worked the camera so perfectly. Grace is quite honestly the smiliest little babe that I've ever met. And her rolls... oh my goodness. I LOVE THE ROLLS. Enjoy some of my favorites from their session!